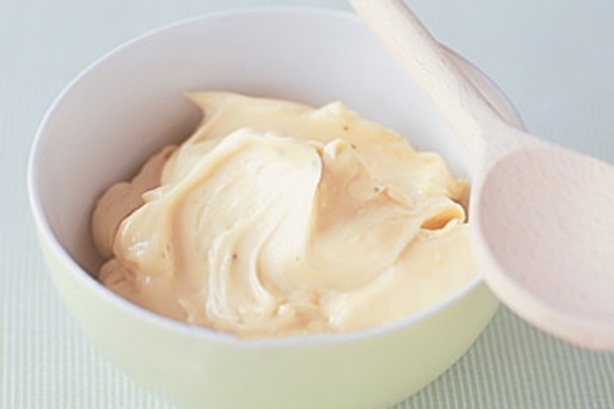 Homemade Mayonnaise is quick and easy to make at home. It will keep for up to a 4 days in the fridge. Break the egg into a food processor bowl and add the remaining ingredients, excepting the oil. Switch the processor on and in a steady very thin stream, slowly add the oil to make the mayonnaise. Once thick, adjust the seasoning. Store mayonnaise in a bottle in the fridge for up 4 days.